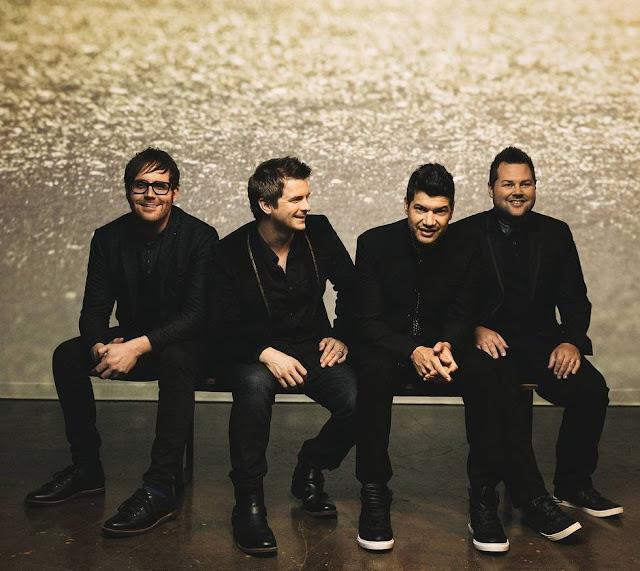 The Afters are back with their sixth Christian album entitled, “Live on Forever”. Some of their hit songs were “Light Up the Sky”, “Lift Me Up”, “Every Good Thing”. This album features ten new tracks that fans will connect with and love. The album touches on the importance of standing strong through the difficult battles, we face as believers. One of my favorite songs on the new album is “Eyes of a Believer”. This song talks about getting ready for the battle and it encourages believers to put on their full armor. It reminds us that mountains crumble and fall when we are believers. Whatever battles, storms, and circumstances we have to endure, we can always hold on to hope that God will be with us through it all. And in the end, we have to remember that God has already won the final battle between the devil. With God all things are possible and He is not limited by our present storms and He knows and understands your pain. I loved how this song was so catchy and is such a huge encouragement. 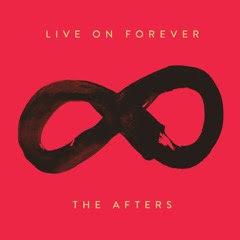 Another favorite is the title track of the album, “Live Forever”. This one discussed about how when we take our last breathe, all of our fears, pain, and hurt will finally be gone. We have the hope of being in Heaven with our loving Creator. This song reminds listeners of how peaceful and how amazing the singing will be in Heaven. We will see brighter colors and finally be at complete harmony. Another noteworthy song is, “Battles”. This one is about standing strong against the resilient currents and having hope that God will part the sea and come through for us again. This one is an anthem about not letting fear push you into a corner. God’s light is brighter than the enemy and His power will always prevail. This song is a great reminder of letting God fight the battle instead of you trying to win the battle. I love how the whole album talked about standing strong against the enemy schemes and how we our survivors. We can let God fight our battles for us and have the hope and peace in knowing that we will always live forever. Our last breath on Earth will be weak, but the breath on the other side will be greatest breath we could possible imagine. This album is an anthem of songs about having hope that God is capable of doing the impossible and He will never leave us in the mists of our storms. These songs encouraged me to keep fighting especially in the current health battle I’m facing. My immune system two subclasses IgG has been slightly low and no doctor can figure out why I’m experiencing chronic pain. I’m being treated like its Lyme disease even though the test is negative. They have been trying antibiotics and I seem to function better on them. The only hope they can give is if the antibiotics don’t work is putting in a port and receive blood infusions every day. I haven’t done that yet and I’m hoping and praying I don’t have to. I’m only 26 so I hanging on to the hope that God is able to fight this battle and heal my body. These lyrics touched deep into my soul and being a believer in Christ it’s time to put on the gloves and fight and not let satan take my light out. And even when I take my last breath, I will live forever with the Creator. If you’re looking for an amazing album, then pick up this one, you won’t regret it!! Fight the Battle! Celebrate religious freedom with other students across the U.S. on October 6—Bring Your Bible to School Day! Students from kindergarten to college will be bringing their Bibles to school and sharing God with their friends in just a few short weeks. Sign up to be a part of the movement to protect religious freedom for future generations. In Unreasonable Hope, Chad Veach explored the importance of clinging onto hope in the mist of the storms and trials we have to endure in this life. Chad Veach shared about how their first child, Georgia was diagnosed with lissencephaly. Many children die before they turn the age of ten years old. This disorder affects her brain and it causes her not to function. She has horrible seizures that can happen at any time and it even caused her to throw up her food. She struggled gaining weight and they eventually had to have a feeding tube put in. Like most parents, they struggled with coming into terms with why God allowed their little girl to be born with a rare brain disorder. They were broken and heartbroken about the lost dreams for their daughters. Chad Veach admits it was difficult seeing other children walking, talking, and running and deep down he longed for Georgia to be able to do that. Throughout the book, Chad Veach revealed what he learned about trusting God through it all, believing that God is able to heal us, and having hope despite all the negative reports. I would recommend this life changing book to anyone who is longing for healing in their life and they are struggling with believing and hoping that all things are possible through Christ. This is the first time, I heard about Georgia’s story and I was amazed at reading how real Chad Veach was in sharing his frustrations and how he found his hope in God. I liked how he shared that many people prayed for Georgia’s healing and some even got G-tattoos to show their full support. This book was a wonderful reminder that God is able to heal us and He is with us always and He won’t forsake us. I’m currently seeking healing from whatever sickness is attacking my physical body. I have been to numerous doctors and had a head MRI and CAT scan. None of the doctors can figure out why my immune system is low. All they can do is provide blood infusions which I’m not doing right now. They are trying antibiotics as of right now. I will admit there are days where I’m ready to give up and I’m losing hope that tomorrow will be better. This book helped to refocus and place my hope in God and that He is able to rebuild my immune system to the normal levels. If you’re seeking a book on healing, believing, and hoping despite all the challenges you are facing, then read this book!